So TSM 4 just entered it’s open beta. I am of course a massive fan of TSM and I would not be a goldmaker without it. It is the most powerful addon in WoW and the new version is now open for everyone. 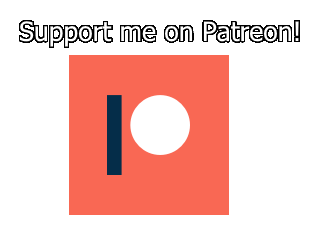 Before we dive into my first impressions i’m going to make a quick disclaimer. TSM4 is in beta. That means you should expect some bugs and issues. It’s working quite well for the most part, but it is not finished. If you prefer a stable release you should stick to TSM3. Obviously some of these will have a bigger impact than others. Today I will focus on the ones that impact how we use the addon. If you are interested in the technical changes I suggest heading to the TSM blog. The first thing you will notice once you upgrade to the beta is the new UI. 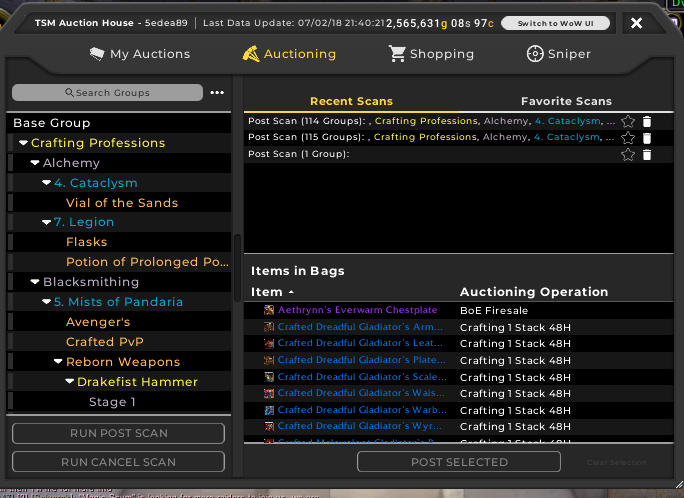 As you can see below the Auctioning UI has been revamped. You choose the groups on the left and you can favorite scans of various combinations of groups. This last one is very useful as you can make a favorite of a scan with only faster selling items to quickly repost stuff like consumables. All of the other menus have also been reworked and we will be diving into them in-depth later to show you how to take advantage of them. The new base group is a feature meant to make TSM easier to pick up. By default all the items you have will be added to the base group that uses a set of default operations. This replaces the quick post from bags option in TSM3. The default auctioning operation uses a simple average price using crafting, dbmarket and dbregionmarket and compares it to the vendor price. You can easily change it to something else. This is awesome as it will let you make a generic operation for stuff like random snipes and low level greens etc. It will make it much easier to quickly post items you don’t sell regularly. 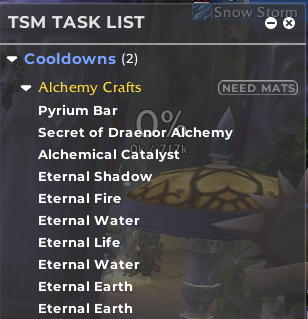 The TSM task list feature came with the open beta. It gives you a list of stuff like daily cooldowns, gathering for your crafting queue and shopping to restock some items. It combines cooldowns and gathering. So far I haven’t played around much with this, but if you can combine this with inventory based restocking rules it would be very powerful to help you figure out what you should focus on restocking! While not fully fledged yet the potential for new useful features here is IMMENSE! I’m going to cover these two features together even if they are different. TSM4 adds a lot of new value sources. You can now reference a lot more than just price based values. All of the price sources in TSM3 reference the price of an item. In TSM4 you can reference the item level, required level, the number of items you have and a lot of other stuff. This opens the possibility for much more fine-tuned and advanced pricing strings. In addition to this TSM4 adds a lot of new l,ogic functions you can use to manipulate the price with the new sources. This includes rounding, and if statements. They are also adding some new math functions so you can create relationships that are non-linear. I will certainly be experimenting with some fancy strings once I get everything up and running. With the new version we are all on a more equal playing field than ever. TSM4 adds features both for the newbie gold makers and for us AH junkies. Overall it is looking better than ever! We will spend a lot of time diving into the new features this summer, so stay tuned for that! 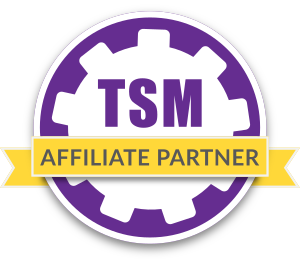 I would definetly suggest checking out TSM premium for automatic addon updating and cloud-based backups.